Michael Jerome Browne was born in Indiana but has lived in Canada since childhood. Over the years he has won many awards for his fine acoustic playing and is probably best known for his work with Eric Bibb, with whom he will again be playing on Eric’s US tour this year. 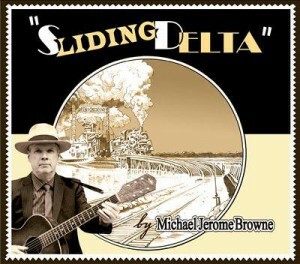 Michael has released a number of albums over the years and the latest finds him recreating some of the classic blues of the 1920’s/30’s. 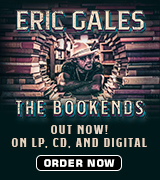 This is a solo album recorded in three days in June 2014 apart from one track recorded live during a UK tour with Eric Bibb in May 2014. Michael plays a wide array of guitars, mandolin and banjo, all of which are detailed in a ‘Guitar Nerd’s Corner’ in the extensive sleevenotes. The title track opens proceedings, a Mississippi John Hurt tune about a long-gone train, the song also mentioning the Big Kate Adams, a steamboat on the Mississippi. Michael’s ringing 12 string and clear vocals give the listener an excellent indication of what is in store here as Michael then gives us songs by Tommy McClennan (“I’m A Guitar King”) and Fred McDowell (“I Heard Somebody Call”), both of which are outstanding versions. Skip James’ “Special Rider Blues” was recorded through an amplifier and Michael gets some ‘spooky’ sounds here; as he says in the sleevenotes, maybe Skip’s spirit was present! Johnny Shines’ “Living In The Whitehouse” is an exception to the 20’s/30’s theme (it was originally written about Eisenhower’s presidency in 1953) but Michael has re-worked some of the lyrics to bring the song up to date and the combination of mandolin and harmonica works well here. Memphis Minnie’s “Frisco Town” comes from her first recording session and Michael has chosen to play it on banjo as that was apparently Minnie’s original instrument. A second Fred McDowell tune “Write Me A Few Lines” came to Michael via Bonnie Raitt and was used by Fred as the basis for several songs! Michael uses the same guitar (National Trojan wood-bodied biscuit cone resonator) on this and the following Charley Patton tune, the slow blues of “When Your Way Gets Dark” and the contrast in styles could not be greater despite the same guitar being used. Michael’s spirited version of Barbecue Bob’s “Motherless Chile Blues” is great and certainly gets the toes tapping before he takes on one of his 12 string influences, Blind Willie McTell, on “Broke Down Engine”. “Bulldoze Blues” is interesting as the song (by Henry Thomas) is the likely source for Canned Heat’s “Goin’ Up The Country”. A ‘bulldose’ was a beating with a bull-whip and was a threat made against African Americans to try and stop them from voting in the 1876 elections – so the refrain of “goin’ where I don’t get bulldozed” had nothing to do with bulldozers which were not invented until the 1920’s! Amazing what you can learn from a custodian of the old songs like Michael Jerome Brown! The classic “Easy Rider Blues” by Blind Lemon Jefferson is another frequently covered tune and Michael adopts a slightly higher vocal here before he tackles a far less well-known song in “My Road Is Rough And Rocky” by Crying Sam Collins which Michael says dates back to an earlier tradition than the blues of the 1930’s when it was released. The final selection is the live duet with Eric Bibb, “Choose Your Seat And Sit Down” by Dock Reed and Vera Ward Hall which was originally an acapella spiritual recorded for Alan Lomax and the Library of Congress in the late 30’s. Eric takes the higher vocal part originally by Vera and Michael sings the deeper vocal and plays some shimmering slide. There are also two further tracks that can be downloaded from the Borealis website using a code contained in the CD packaging, making a very comprehensive run through well-known and obscure tunes in equal measure. 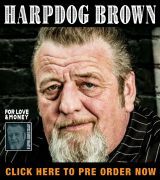 Those who enjoy acoustic blues will be delighted by this CD which contains a gold mine of information in a really well made and thought-out package.